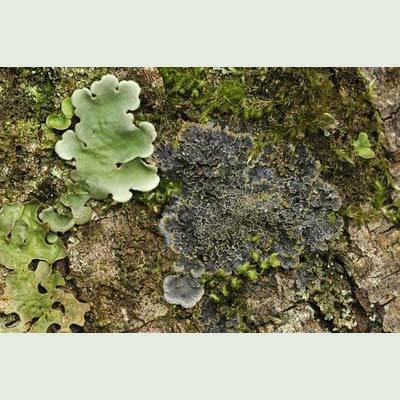 On mossy, broadleaved trees in the sheltered woodlands of the west it is very possible you might come across this species. It has a strong smell of antiseptic when wet. Well-developed material forms conspicuous rosettes with radiating marginal lobes. 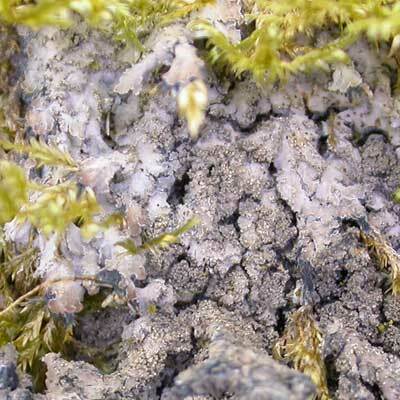 The whole thallus is squamulose (of flat, grey-brown to red-brown, rubbery scales with granular margins), the squamules 2-3mm wide but extending to 5mm towards the edge of the thallus. 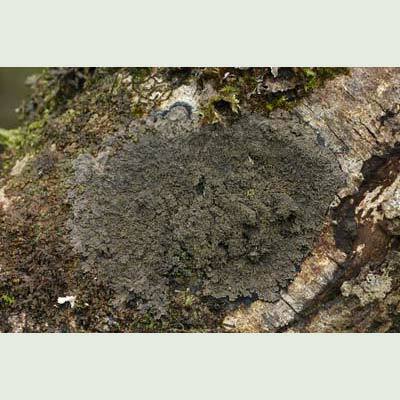 A black hypothallus (the base on which the squamules are fastened) is often visible. Western and south-western Ireland. Many grey to red-brown squamules larger than 2mm (commonly on hazel and sallow in best habitats). Simms, M. J., (2016). 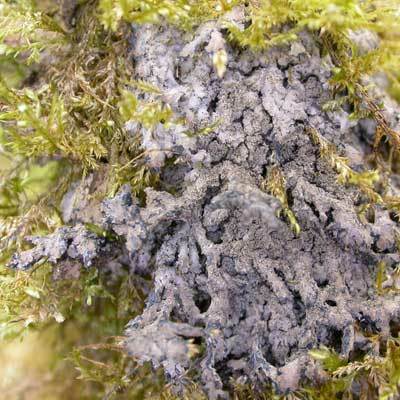 Parmeliella testacea P.M.Jørg.. [In] LichenIreland.